Thanks for printing! 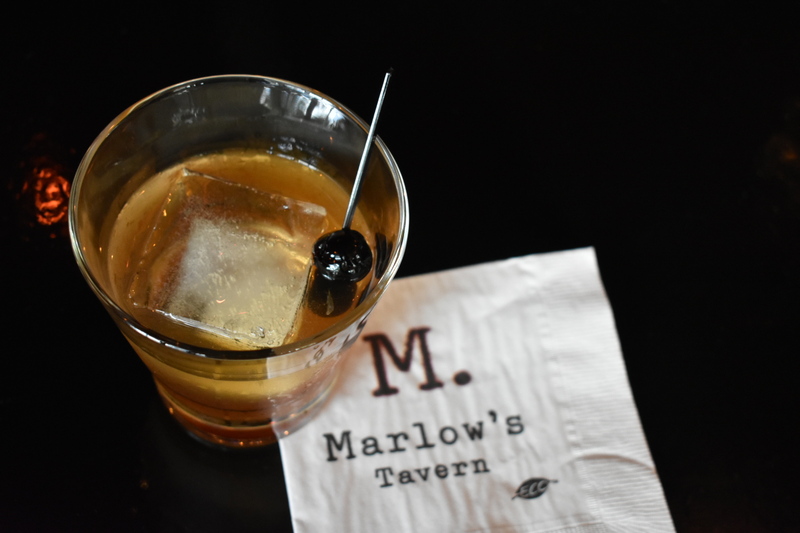 Don't forget to come back to Marlow's Tavern for fresh articles! If you have a staple drink that you order at every bar in town, it can become part of your character. For years, bartenders have equated specific cocktails with a personality type. What you enjoy during happy hour can oddly make a connection to you, your lifestyle, personality, or how often you brunch. Here are a few common, and often stereotypical, personality characteristics matched with specific beverages. With the speakeasy revolution happening all over America, the Old Fashioned has made a huge comeback. This classic civil war-era cocktail has suddenly appeared on every craft cocktail menu in every hipster town. Despite the cliché, it’s stuck around because it’s one of the most delicious blends of sweetness, smokiness, and citrus that’s ever been created. While the Old Fashioned can play well as a digestif or aperitif, you can also enjoy pairing an Old Fashioned with a savory meat or creamy pasta dish. If you order this drink, you may be an artist with an ironic beard or a calf tattoo, but either way, you have good taste and you get along with everyone. Martinis, much like a well-tailored suit, are distinguished and easily recognizable. If you order this drink, you’re not messing around. The art to a good Martini is balance. Whether it’s a perfect or dry Martini, you know how to celebrate a classy and elegant happy hour. The Martini drinker is taken seriously and requires close attention to balance. The gin to vermouth ratio is important in this drink, and any high-powered business person with a Martini at lunch will notice when this is off. You’re probably ordering this with some sort of clean and crisp appetizer, like oysters or tuna, and you probably have shoes that match your belt. A Gin and Tonic is easily the most traveled cocktail. You can order this drink without any hesitation in a number of countries. All across Europe, America, and Asia, you can be sure that they know how to make a good Gin and Tonic. Many countries like Italy, The Netherlands, Spain, the Philippines, and the United Kingdom all boast the Gin and Tonic as a national spirit. Any person that considers themselves a child of the world will fall back on a Gin and Tonic no matter where they land. It consistently lines up with a love for multiculturalism, good food, and of course, juniper berries. The Cosmopolitan has been around for ages, but it made a comeback during the height of a popular 1990"s HBO series, when it was often ordered by the main character, Carrie Bradshaw. It immediately became symbolic of a feminine power play. The strong, yet fruity concoction is perfect for the person who makes brunching a lifestyle instead of an event. Cosmo drinkers don’t mess with beer or house wines. It’s a dynamic drink for an equally dynamic personality. The Cosmo lover will be considered family at the best cocktails bar in town, and may also own a dog that fits nicely in a purse.